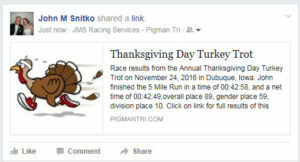 Since 1992, JMS Racing Services has timed more than 1,000 triathlons, duathlons, road races and other unique events around the nation. We provide our professional services to events or all sizes and of all types. JMS Racing Services is known for providing accurate and timely results. Our experience shows that nothing is as important to a competitor and their support than to see results as soon as possible. With our state-of-the-art timing systems, we are able to provide live times and stats while the event is going on and finish results virtually seconds after a person completes their event. We believe in continuous improvement. Each year, we review current trends and race requirements so that we are able to provide industry leading timing to our customers. JMS Racing Services uses the best timing software and has two different chip timing systems to allow for a complete range of solutions. If you are looking for the latest in totally disposable chip in the bib timing, we offer the Ultra UHF from RFID Race Timing Systems. For high speed or unique application timing we use the MyLaps ProChip system. No matter what is needed, JMS Racing Services has the solutions and capabilities to handle the event. More and more races want a disposable timing chip (tag) option. The Ultra UHF was purchased in 2011 from RFID Race Timing Systems to meet those requirements. This system uses a totally disposable timing tag. The tags are placed on the back of the race number bib and require no effort on the part of the athlete. Gone are the days of trying to figure out how to install the timing tag on a shoe or using ankle straps that have to be collected after the run. With chip in the bib disposable tag technology, there are no teams of volunteers collecting chips and the runner simply moves on to the post race recovery area after passing the finish line. The Ultra System is the perfect timing system for running races big and small. It can handle any size timing point from 16m start lines of a ‘major’ to a small 2m wide finish line for a local club race. 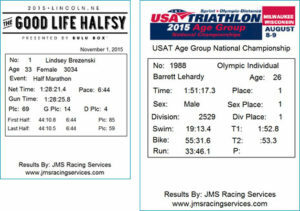 In 2015, JMS Racing Services began using the RFID Ultra for timing triathlons, duathlons and other swim related events. This was a disposable timing strap solution that also utilized side patch antennas. Mostly for multisport events, JMS Racing Services uses the Active or the ProChip timing system from MyLaps Sports Timing. The MyLaps system is unique, because it was developed with two goals in mind: 100% reliability and high accuracy. This dedication to reliability can only be found in MyLaps active transponder (chip) technology. 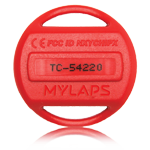 MyLaps active transponders have internal long-life batteries that switch on and off as an athlete crosses over each start, split or finish line detection point. Active technology is perfect for higher speed or unique applications like multisport, cycling, inline skating, skateboard marathons and open water swim events. JMS Racing Services began timing select events in 2011 with RaceTec. It was developed for some of the largest and most technologically advanced races in the world. Now most of our events are timed using this powerful, flexible and feature rich software that can handle nearly all types of competitive races. RaceTec has allowed us to take our timing business to the next level. 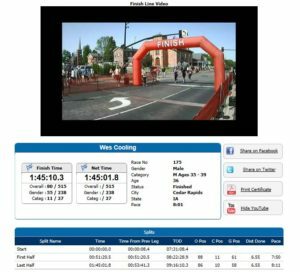 This software package has been around for more than 25 years and is flexible enough to handle any race timing criteria an organization might want. JMS Racing Services continues to use Runscore for select events that require unique timing needs. We set up a computer connected to a large screen TV. Results are automatically displayed on the TV formatted to replace the posting of printed results. 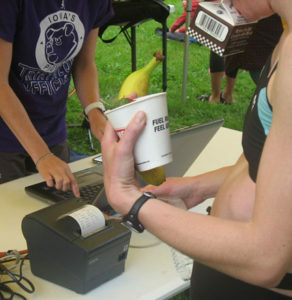 We set up a computer and printer where finishers can immediately receive a custom printed receipt that contains their time, place and other race specifics including split times where applicable. The receipt is similar to what one receives after making a credit card purchase. During the event, a text message of a participant’s results are sent out to cell phone numbers that are signed up to receive this service for that person. 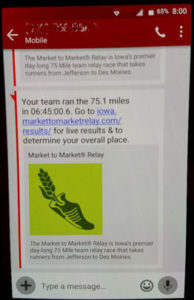 These text messages are customizable and can include links to the race website or Facebook page. 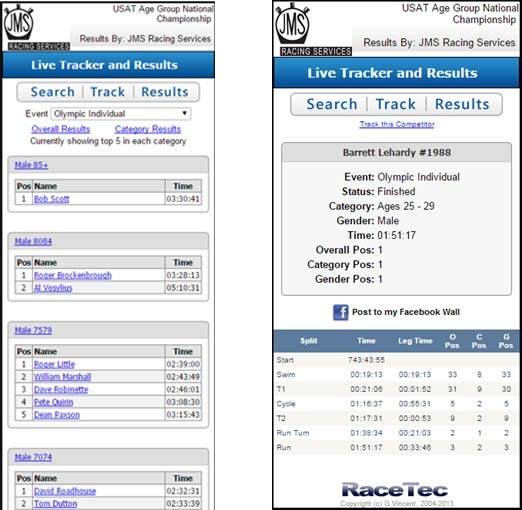 During the event, live online results are uploaded to our website in a searchable format making it easy for athlete tracking. 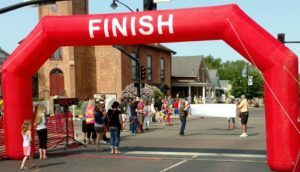 A participant’s results will be seen on our live results website shortly after they cross the finish line or any other timed area along the course. The leaderboard results are uploaded along with the uploading of live results. 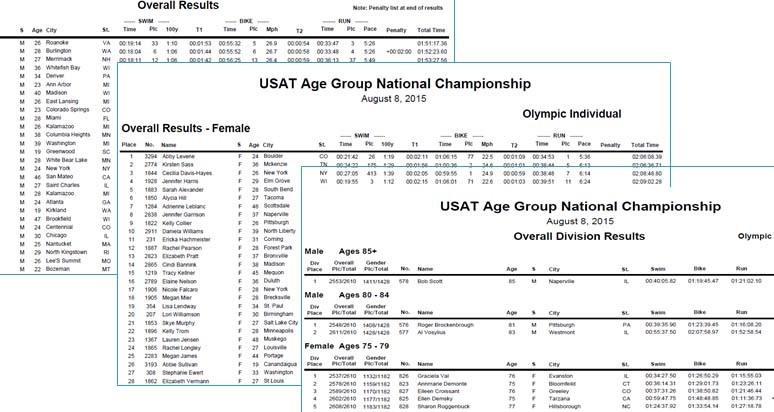 These results are in a searchable format making it easy for athlete tracking. 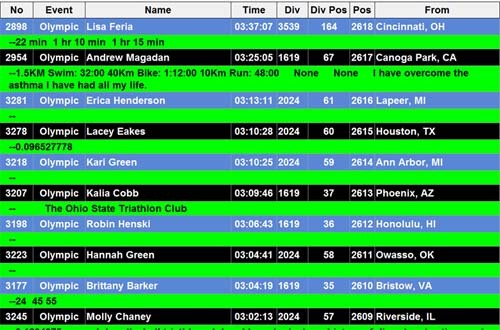 For multi-split events like a triathlon, the leaderboard is especially helpful for viewing the leaders as they finish each of the different legs of the event. During the event, mobile results are uploaded to our website. These results are formatted to be viewed on a mobile device. Users can select participants to track during the event with these results. 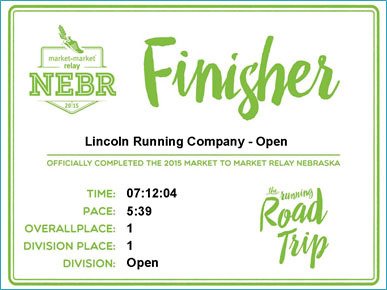 From the live results screen a link is available for printing a totally customizable finisher certificate. Finisher results are overlaid on top of a background created by us or provided by the customer. From the live results screen a link is available for posting a person’s results on a Facebook page. The posted message is customizable and can include links. We will record the finish line or any other timing point area for an event. The video or videos will be uploaded to Youtube. From the live results screen a link is available for viewing a person’s unique few seconds clip of the video. We set up a computer for the race announcer. An announcer mat will also be set up a few hundred feet before the finish line. 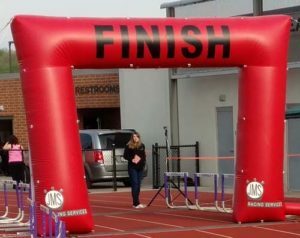 As participants cross over the announcer mat, the race announcer will immediately see the competitor’s name, city, state, division or other information. In addition to the live searchable results on our website for an event, we also post PDF files of the results. For most events, there would be three reports. One with finishers sorted by their overall positions. 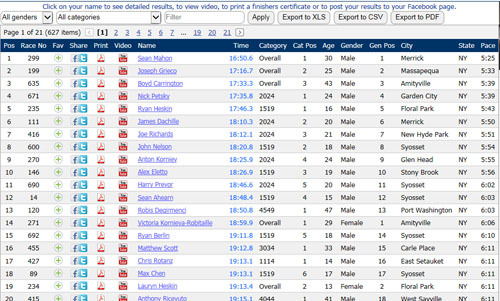 One with finishers sorted by gender and one sorted by the age group or category. This will allow for the inclusion of a chip time along with the gun time into the results. 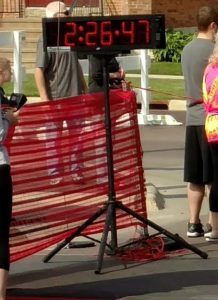 Timing mat would be set up at the start of the race to capture participant times as they start the race. This will allow for the inclusion of a split time in the results. Timing mat would be set up along the route to capture participant times. We have different size inflatable finish arches available. We have double sided 8 inch digit and single sided mile mark LED clocks. JMS Racing Services also offers a wide range of cost effective equipment to suit the needs of many different sized events.